Kunikida is one of Kyon's Friends. Kunikida is much quieter than Taniguchi with the latter doing most of the talking when the two are around. Kunikida plays a minor role and does not contribute much dialogue. 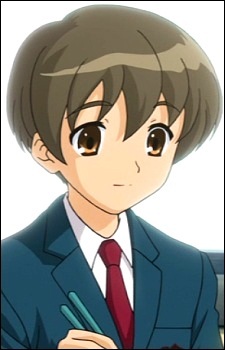 However since he and Kyon went to the same junior high school, he might know more about Kyon since he once stated that "Kyon likes weird girls," as evidence to support the idea that Kyon is romantically interested in Haruhi.